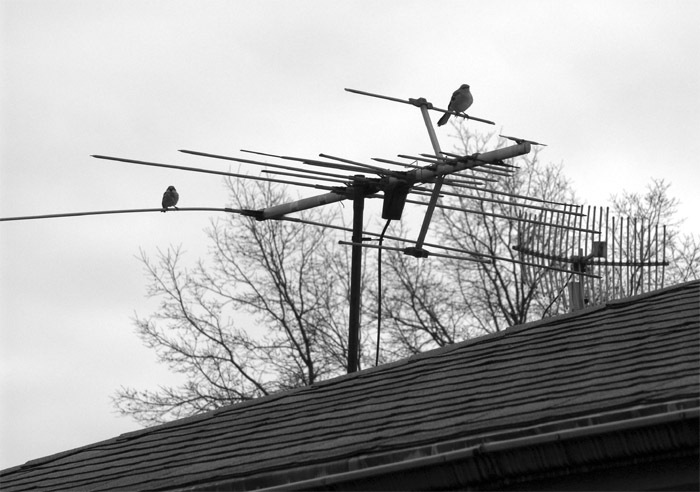 Thanksgiving Day, 2006 as I got up lazily and came out to smell the fresh air I was captivated by the two sparrows sitting on the TV antenna of my neighbor's roof. I took a chance to go inside and grab my camera. Lo and behold, both the sparrows were still waiting! The shot taken in a cloudy and damp day (it has been raining whole day). Camera Sony DSC-F828.